German postcard by Ross Verlag, no. 1917/2, 1927-1928. Photo: United Artists. Publicity still for Resurrection (Edwin Carewe, 1927). Rod La Rocque (1898–1969) was an American film actor between the 1910s and the 1930s. 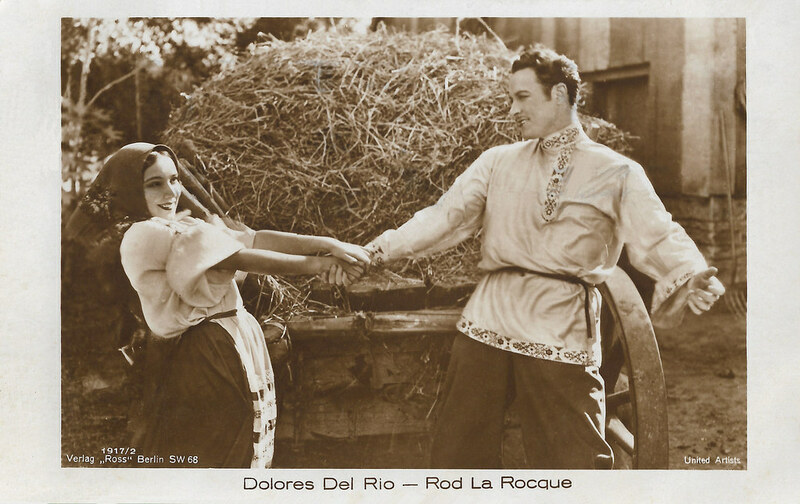 Mexican and American actress Dolores del Río (1905–1983) was a Hollywood star in the 1920s and 1930s, and one of the most important female actresses of the Golden Age of Mexican cinema in the 1940s and 1950s. Del Río was the first major Latin cross-over star in Hollywood, and was considered one of the most beautiful faces that have emerged in the Hollywood cinema. She also appeared in several European films. From Flickr: “Billie Burke” by Truus, Bob & Jan too!